VRHabilis is looking for qualified and experienced candidates to fill positions for our nationwide projects. Our commitment is to make this a great place to work while providing unparalleled service to our clients. VRH is the innovative, industry leader in UXO Range and Land Remediation, Precision Blasting, Environmental Cleanup, and Rapid Response, both underwater and on land. Our collection of experts service a wide range of needs for the private and federal contractor. 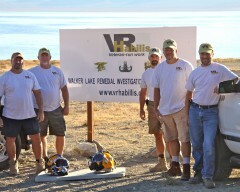 VRHabilis is a Service Disabled Veteran Owned Small Business (SDVOB). VRHabilis provides a venue and employment, through the use of adaptive technology, for disabled veterans to compete for government contracts and to use their skills and experience to work in fields of their choice. Review the positions below -- if you're qualified and seeking a challenging new opportunity, send us your resume and certifications. We look forward to hearing from you!